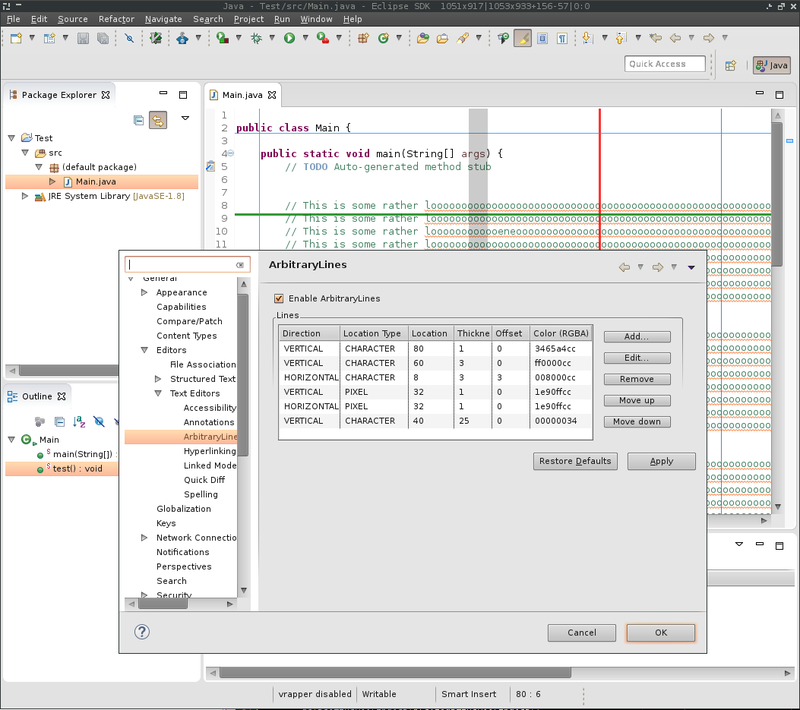 AbritraryLines is an Eclipse plugin which allows you to configure arbitrary lines in the editor. It can be configured via "General -> Editors -> Text Editors -> Arbitrary Lines". By adding the following code below to your website you will be able to add an install button for ArbitraryLines.